Journey to Stand-Up: with Penina Beede – Hey! That’s My Hummus! We’ve been gone for a few weeks: Faiqa has had a school year ramp up to success! And Mike was studying feverishly for the PMP exam — which he PASSED! And with Faiqa taking a break for a few weeks, we have a pretty amazing guest host who took her place this week. Penina Beede is a rising stand-up comic who has performed in clubs in all three comedy hubs in the country: New York, Los Angeles, and the area in the middle of Connecticut that’s sort of Hartford but not really. 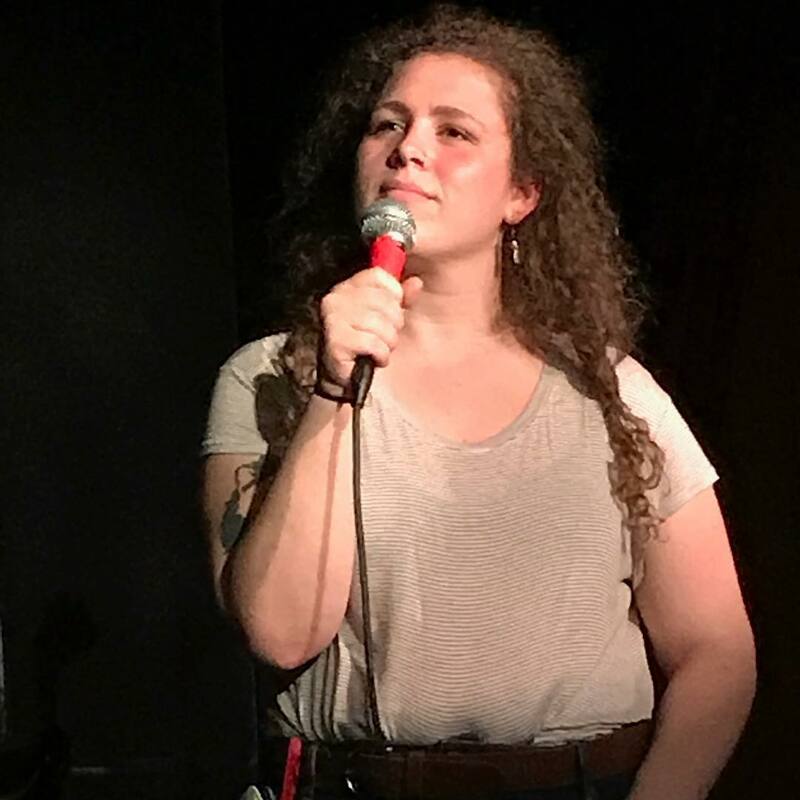 Mike and she knew each other from the Jewish youth group (USY) world, and Mike followed her on social media as she traveled halfway across the planet, joined the Israeli army, found love in Israel, realized it wasn’t quite for her, came back home, and realized her dream to perform comedy. She talks about her experience as a female comic in an environment which has had its history of being hostile towards women, and her reflections on the growing number of men who have been called out for their acts of assault and harassment — and what the future holds for a profession which has had a need for change in power structure and balance for a long time. We also talk about hummus a little bit. Because this is a show about, albeit in a roundabout way, hummus. Penina joined us on this episode mere hours before getting on stage and performing a set at New York’s Dangerfield’s Comedy Club. You can find more information about Penina and her upcoming appearances on her Facebook page, Penina Beede, Funny. She can also be followed on social media @realpeninabeede (on Twitter and Instagram). We’d love to hear what you think about this week’s episode! Tell us! Leave a comment on our Facebook Page or on Twitter at @thatsmyhummus. And while you’re at it? Rate us on iTunes. We won’t tell you how many stars we’re aiming for specifically, but you know — all of the stars. Today’s episode is brought to you by Lola – a company founded by women for women which delivers feminine hygiene products to your door monthly — products made from cotton with no dyes, toxins or synthetic stuff. And they have been helping low-income women in the United States by providing products for them at no cost! For $5 off your first month, go to http://www.trymylola.com/hummus . Written by: shiny on November 23, 2017. Is It Too Soon To Talk Gun Control?